Similar to the smaller version, these bright turquoise colors on copper disks are accented with a variety of SS accents. Do you a scene? They make some striking pendants! A 20-inch black waxed cotton cord necklace is included with each 1-1/4-inch pendant. You can choose the one you like, or I can pick one randomly. 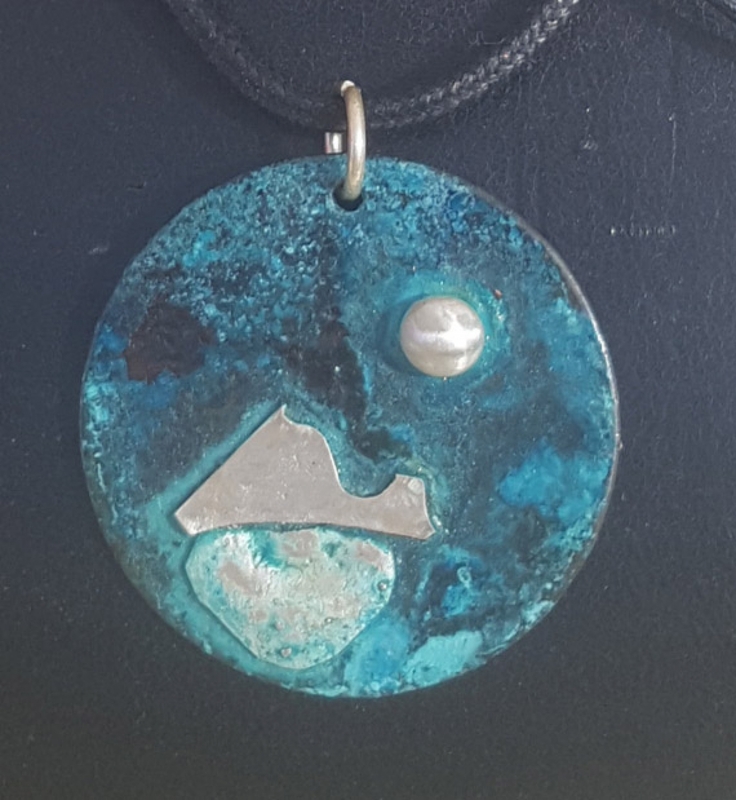 The copper is sealed to protect the turquoise patina colors.